Excellent Paula for the future movie. So, great news! I just finished the final edit of Character-Driven, the first mystery in my 1-and-3/4 book series featuring sometime-actress, sometime-sleuth Paula Berger. Paula’s headstrong, funny, and super-nosy. All great characteristics if you’re going to get to the bottom of the bizarro behavior of your best friend’s husband. Then he disappears and things heat up. Throw in a couple of goons, a mob lawyer, a sociopathic surgeon, a cute cop… you’ll eat it up. Or so I hope. My writing pal, Addy, gave me great feedback, I’ve put in a super-au-courant subplot, and I took out almost all the ellipses. Anyway, my new 2012 Guide to Literary Agents came in the mail today. (Thanks, Amazon.) So I’ll be scouring it for agents who will NOT say “I loved it! But I don’t think I can sell it.” I want one who will say “I loved it and I bet I can sell it.” Ahh, the dream does not die. 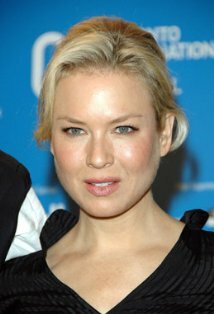 This entry was posted in Commentary and tagged 2012 guide to literary agents, agents, mystery, Publishing, Renee Zellweger, series. Bookmark the permalink.